You are here: Home / Blog / general construction / Quartz Vs. Granite: Which Countertop Material Is for You? In this post, one of the most trusted local home improvement and deck contractors, Gaspard Construction discusses the differences between quartz and granite. The color and pattern options for granite are almost limitless. You can either blend it with your kitchen’s color or use it as an accent to the room. Quartz appears like a stone and you can customize it to your preferred style. They are made from 95% ground natural quartz and 5% polymer resins. You can easily pick the right design for your color scheme because with its wide range of options. Granite, when quarried from mines, uses a lot of energy. They are obtained from different places around the world, cut down and polished into a fine finish. On the other hand, quartz is engineered, making it a more environmentally friendly option for your kitchen remodeling project. Certain oils and acids can stain granite. You have to clean it every day using soap and water or gentle cleaner. Consider having your countertops resealed annually to make them last longer. Similar to granite, quartz is vulnerable to staining. However, its surface doesn’t require it to be resealed. Quartz isn’t porous like granite, making it almost indestructible. It is also harder and easier to clean. Still, excessive heat can damage quartz so using heating pads is a must. 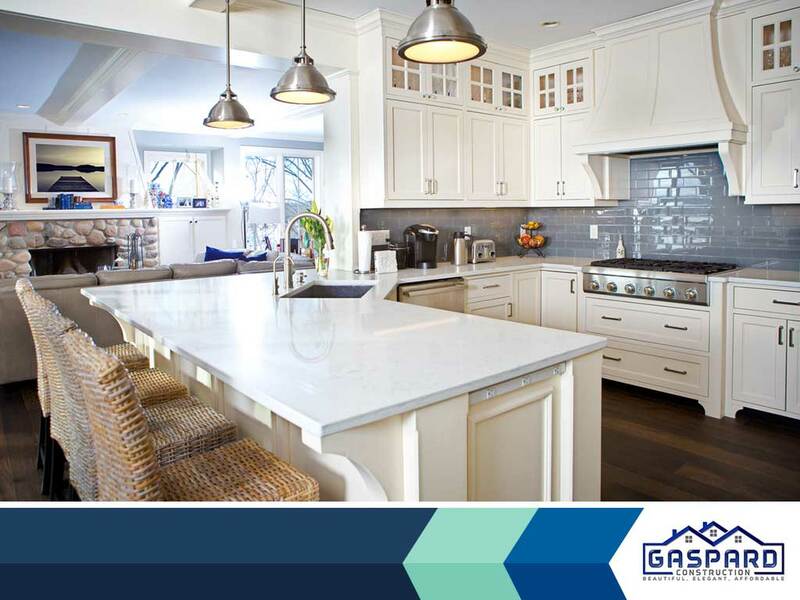 No matter which of the two materials you prefer, Gaspard Construction is here to cater to all your kitchen and bathroom remodeling needs. We will help you plan your renovation project, design the best layouts for your kitchen and select the right materials for you. Call us at (281) 532-5283 or fill out our online form for a free in-home consultation. We cater to homeowners in Clear Lake, TX.